But his words have attracted critics - among them Hans Blix, who was in charge of the UN team searching Iraq for WMD. He said he thought Mr Blair used WMD as a "convenient justification" for war. "Saddam's removal was a gain but it's the only gain that I can see from the war," said Mr Blix. 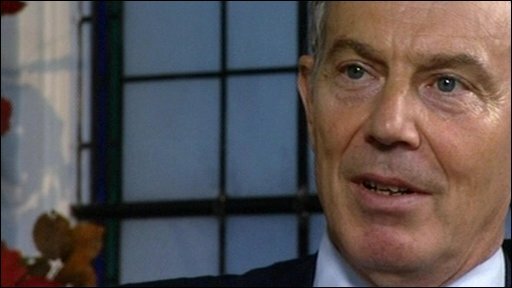 Speaking on BBC One's Fern Britton Meets programme, Tony Blair was asked whether he would still have gone on with plans to join the US-led invasion had he known at the time that there were no WMD. He said: "I would still have thought it right to remove him. I mean obviously you would have had to use and deploy different arguments, about the nature of the threat." He added: "I can't really think we'd be better with him and his two sons still in charge, but it's incredibly difficult..
"That's why I sympathise with the people who were against [the war] for perfectly good reasons and are against it now, but for me, you know, in the end I had to take the decision." Asked whether it was the idea of Saddam having WMDs which had tilted him in favour of war, Mr Blair said it was "the notion of him as a threat to the region of which the development of WMDs was obviously one" aspect. He added that there had been "12 years of United Nations to and fro on this subject" of Iraq's weapons and that Saddam had "used chemical weapons on his own people, so this was obviously the thing that was uppermost in my mind - the threat to the region". Meanwhile, Iraq's foreign minister, Hoshyar Zebari, backed Mr Blair's stance. The foreign minister, a member of a government brought into being as a result of the invasion, was a senior Kurdish official during the 1990s. In 1988 Saddam attacked the Kurds in northern Iraq using chemical weapons. Mr Zebari told the BBC: "As Iraqis who have gone through the suffering and the agony of Saddam Hussein's regime, we support Tony Blair's statement. "I believe it was worth it. I believe Saddam Hussein's regime was an affront to the international community, to the international consciousness because of the atrocities, the crimes, he has committed." But Mr Blix disagreed, saying he believed Mr Blair's statement had a "strong impression of a lack of sincerity". "The war was sold on the weapons of mass destruction, and now you feel, or hear that it was only a question of deployment of arguments, as he said, it sounds a bit like a fig leaf that was held up, and if the fig leaf had not been there, then they would have tried to put another fig leaf there." Mr Blix added that the weapon inspectors were "pretty close" to showing that after 700 inspections, that there were no WMDs. Conservative MP Richard Ottoway, a member of Parliament's Intelligence and Security Committee, said Mr Blair's comments were a "cynical ploy to soften up public opinion" before his appearance at the Iraq Inquiry. 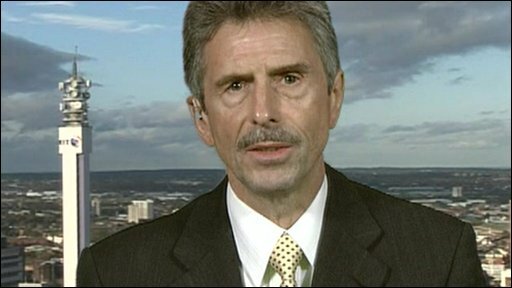 Reg Keys: "I think he's trying to soften his approach to make himself look less guilty"
Mr Ottoway added that Mr Blair had misled parliament on "more than one occasion" and that people would be "dismayed" that what was the "most significant foreign affairs initiative since World War II had been debated on a false premise". He added that some MPs may had made a different decision had they known the "full unvarnished truth". Former Liberal Democrat leader Sir Menzies Campbell agreed, saying he would have failed to obtain the support of the House of Commons. Reg Keys, the father of a British soldier killed in Iraq in 2003, said he was "absolutely flabbergasted" at Mr Blair's statement and that he thought Mr Blair was trying to "struggling to find some moral high ground in order to justify the total farce of the Iraq invasion". And Carol Turner of the Stop the War Coalition said it was "extraordinary" that Mr Blair was admitting that he was prepared to tailor his arguments to fit the circumstances. "It's not a matter of applauding his honesty now; it's a matter of attacking his lack of honesty and integrity in the circumstances." Mr Blair is set to be the key witness to the Iraq inquiry, which is looking at the whole build-up to the war and its conduct and aftermath. Fern Britton Meets... Tony Blair is on BBC One on Sunday at 1000 GMT.